All Singaporean fans must have rejoiced because Korean heartthrob Hyun Bin and beautiful actress Song Hye-Kyo were filming in Singapore for their new drama “The World They Live In” since September 1st. The 16-episode Korean drama is set in Singapore for a few episodes and is about the TV and movie production industry. It will also be the first drama where Hyun and Song work together in a TV series so we will see if sparks can fly between these two. 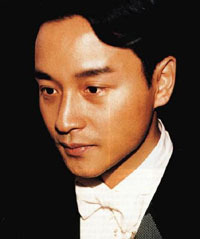 Fans celebrated the late Hong Kong actor Leslie Cheung’s birthday yesterday. Leslie was born on September 12th, 1956 and would’ve been 52 if he was alive today. He committed suicide on April 1, 2003 at the age of 46 and is one of Hong Kong’s most celebrated actor and singer. Hundreds of fans from all parts of Asia gathered in Hong Kong’s The Avenue of Stars in Tsim Sha Tsui to sing happy birthday to their idol. Since its release in 1994, Wong Kar Wai’s “Ashes of Time” has received mixed reviews. Many critics praised it for its artistic re-interpretation of Jin Yong’s characters that appear in his “Eagle-Shooting Heroes” novel, beautiful landscape photography by Christopher Doyle, and melancholy atmosphere. The haunting soundtrack for this film is also very memorable and fits the mood of the film well. Not to mention, the late Leslie Cheung starred in the film alongside Tony Leung and with an array of actors such as Tony Leung Kar Fai, Carina Lau, Bridgette Lin, and Maggie Cheung. Now the movie is in “redux” mode and re-released in a digitally cleaned up version. It is said that this is an abridged version too. You are currently browsing the Asian Entertainment News archives for September, 2008.